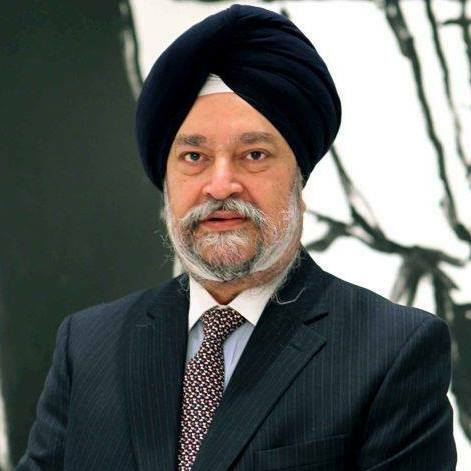 New Delhi : Hardeep S Puri, Housing and Urban Affairs Minister has asked HUDCO to prioritize Affordable Housing in all its endeavors to contribute to Housing for All by 2022. He was speaking at the inauguration of HUDCO Build Tech– 2017 pavilion at ITPO here today. Sh Ravi kanth, CMD, HUDCO was also present on the occasion. Addressing on the occasion, Sh Puri lauded HUDCO’s contribution through financing a wide range of housing and infrastructure projects including roads, bridges, hospitals, metro rail, etc., and partnering in Pradhan Mantri Awas Yojana (PMAY), NULM etc. Explaining to the Minister, CMD HUDCO informed that it is a techno-financial institution and the exhibition has tried to capture the multi-dimensional roles played by HUDCO towards sustainable development and particularly urban development. The exhibition focuses on the housing & infrastructure projects and innovative consultancy assignments in architecture, city planning, utilization of cost effective and sustainable building materials, technologies and services, and energy efficient Green Buildings, CSR etc. “HUDCO’s contribution is not just limited to affordable housing but also contributes through financing of national assets like Lucknow Agra Expressway, Bengaluru Metro Rail and Cochin International Airport etc. HUDCO has contributed to sustainable development through its financing of water supply schemes, riverfront development as well as creation of public spaces and conservation of lakes. The exhibition captures the tremendous work done by HUDCO for affordable housing and urban infrastructure in the country”, he added. CMD, HUDCO informed that the company has also designed some landmark projects in the capital city of New Delhi, ecologically sensitive area of Sikkim as well as affordable housing in Jammu & Kashmir and Madhya Pradesh. HUDCO is a Central Nodal Agency (along with NHB) for the Credit Linked Subsidy Scheme (CLSS) component of the Govt. of India programme Pradhan Mantri Awas Yojana (PMAY) – Urban. A corner in the exhibition showcases HUDCO’s contribution towards successful implementation of this ambitious programme that aims to provide Housing for All by 2022. HUDCO has made a concerted effort to reach the unreached as well as support the flagship programmes of the Govt. of India such as Swachh Bharat and Skill India etc. Through its CSR assistance towards purchase of Mini Tippers for collection of solid waste in Guwahati and construction of toilets in schools, HUDCO has expressed its commitment in making our Prime Minister’s dream of Swachh Bharat a reality. The construction of class rooms and skill development training are yet other examples to empower the downtrodden through education and livelihood promotion. HUDCO has also extended CSR assistance for construction of Night Shelters with sanitation facilities in many cities including Chennai Ahmedabad etc. to provide shelter to the most deprived sections of the society – the urban homeless. The exhibition showcases HUDCO’s effort towards conservation of built heritage. HUDCO collaborated with National Culture Fund, a Govt. of India organization for conservation of Sunderwala Mahal, a protected Architectural heritage. A unique initiative of HUDCO is construction of a work shed in Gangtok for cobblers to protect them from the vagaries of nature and ensure uninterrupted work hours.